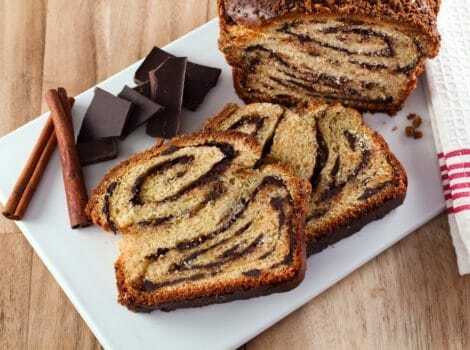 Bake tender, delicious homemade chocolate-filled babka with this illustrated step-by-step tutorial. 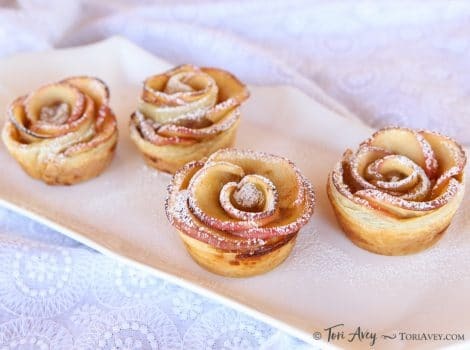 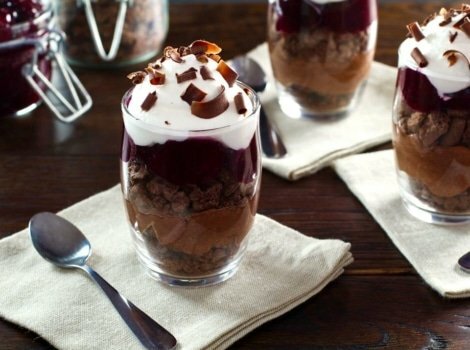 Foolproof recipe with amazing flavor! 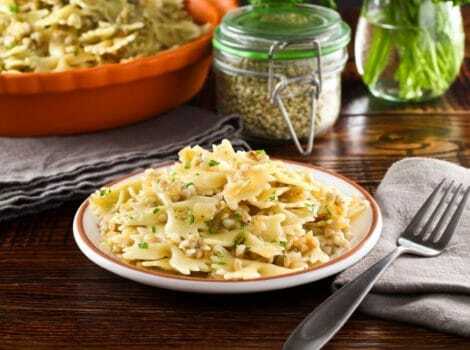 Learn to make Jewish kasha varnishkes the way bubbe did, with bow tie pasta, toasted kasha, caramelized onions and melty golden schmaltz. 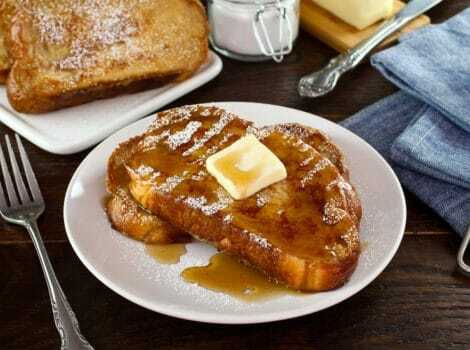 Learn to make fluffy, flavorful Challah French Toast with milk, banana, cinnamon, vanilla, sugar, & optional liqueur. 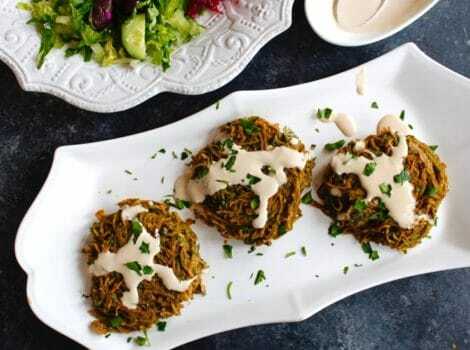 Spicy, crisp and delicious salmon cake recipe with herbs, Greek yogurt and sriracha. 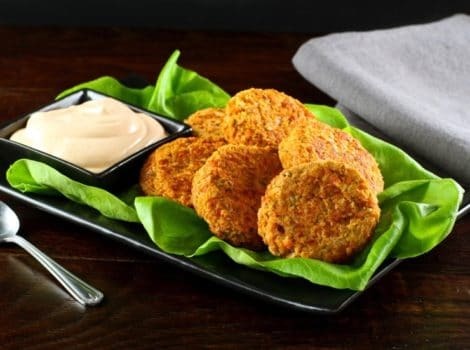 Healthy, easy and delicious – baked or fried. 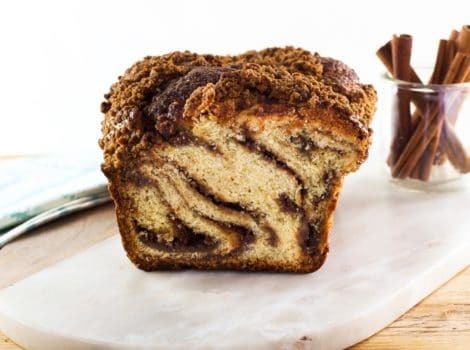 A simple, flavorful loaf cake with cinnamon, a sweet, nutty streusel topping, and a pretty white icing glaze. 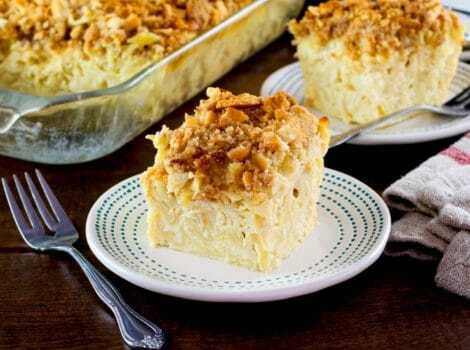 The history of sour cream coffee cake and a traditional recipe for this beloved coffee-time treat from food historian Gil Marks. 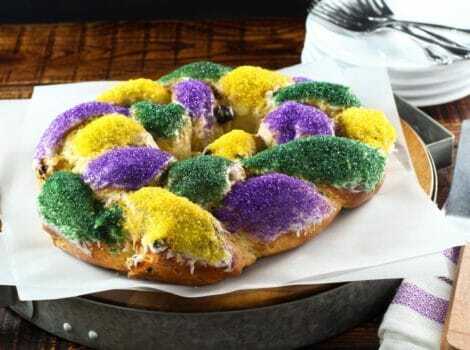 A traditional recipe and history for Mardi Gras King Cake from food historian Gil Marks. 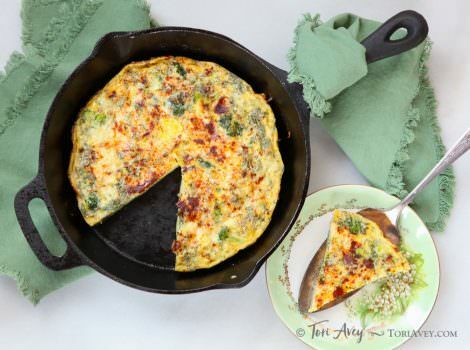 Broccoli Cheddar Frittata with Smoked Paprika, tasty vegetarian entree for breakfast, brunch or dinner. 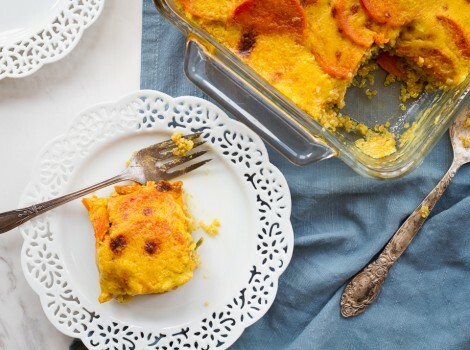 A recipe from our Israeli family. 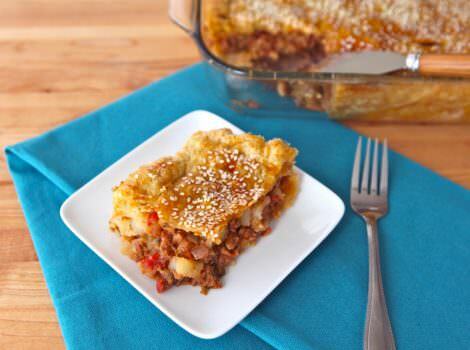 Similar to Turkish kobete, but made with a filling of meat, tomatoes, potatoes and pine nuts. 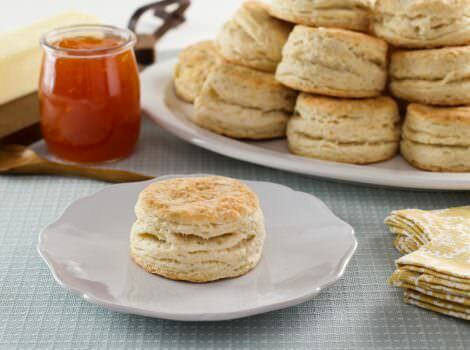 Recipe for tender, flaky biscuits from Kelly Jaggers. 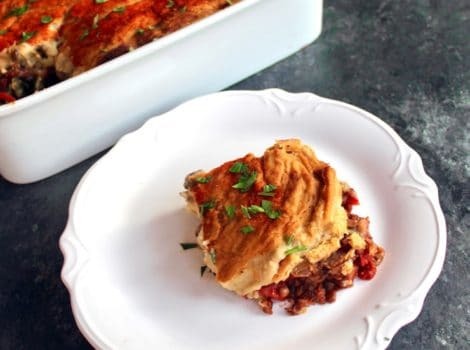 Great for preparing ahead and enjoying later! 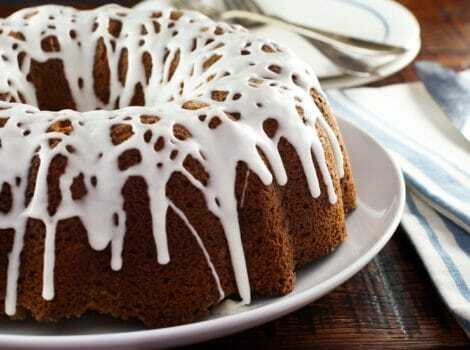 Time-Tested Recipe. 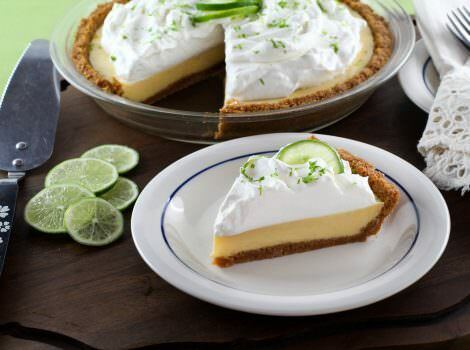 Crisp graham cracker crust with a sweet, tart key lime filling and luscious whipped cream topping. 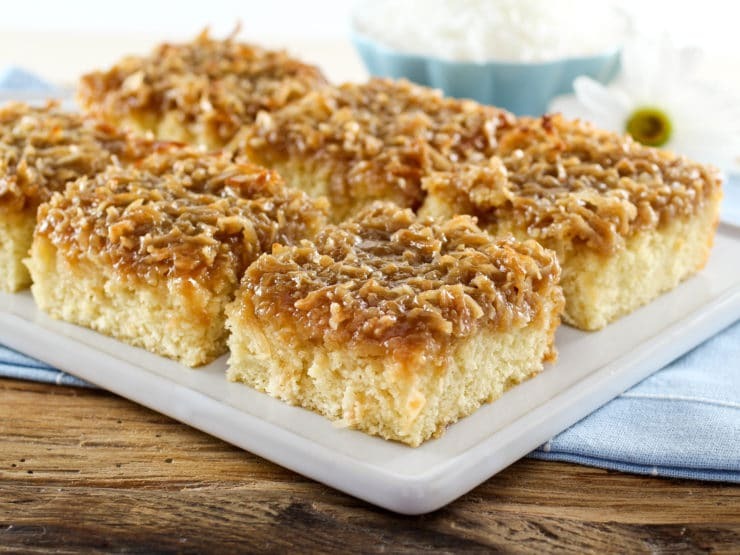 Light, moist vanilla cake topped with a broiled brown sugar coconut icing. 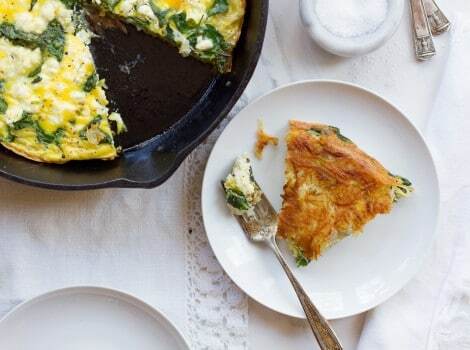 Time-Tested Family Recipe from Kelly Jaggers. 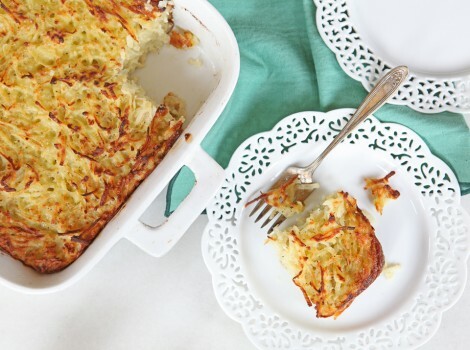 Easy, delicious recipe for potato kugel. 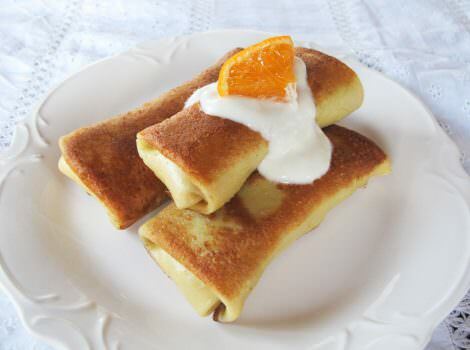 Crispy and golden on the outside, fluffy on the inside.